Remember those few days last August where Tom Cruise’s salary negotiations shut down pre-production on Mission: Impossible 6? For a moment there, it looked as though one of the best action movie franchises on the planet had slipped between our fingers. No more age-defying stunts from AARP member Cruise; no more innovative action sequences from emerging directors. When things were finally smoothed over between star and studio in September, I’m not ashamed to admit I breathed an audible sigh of relief. So nobody is more relieved than I to get back to the business of rumors and speculation about the next Mission: Impossible film. To celebrate the 250th episode of its podcast, Empire Magazine (via IGN) brought back Mission: Impossible 6 writer-director Christopher McQuarrie to talk about the latest adventures of Tom Cruise as special agent Ethan Hunt. While we’ve known for a while that Rebecca Ferguson would reprise her breakout role as Ilsa Faust from Mission: Impossible - Rogue Nation, perhaps the most revealing part of the discussion was when McQuarrie admitted that the film would include “people you would not expect to be back” from other films in the franchise. Surprising returns? An emphasis on character-driven material? If you’ll indulge me a moment of wild speculation, this all seems to be adding up to a return for Mission: Impossible III’s Michelle Monaghan as Ethan Hunt’s one-time wife. It wasn’t that long ago that Monaghan had an uncredited appearance in Mission: Impossible - Ghost Protocol. If McQuarrie and company are determined to take a cold, hard look at Hunt as a human being and not just as an action figure, resolving some of Hunt’s unfinished business with Julia would be a good place to start. One way or the other, here’s looking forward to what’s sure to be one of the most exciting action movies of the year. 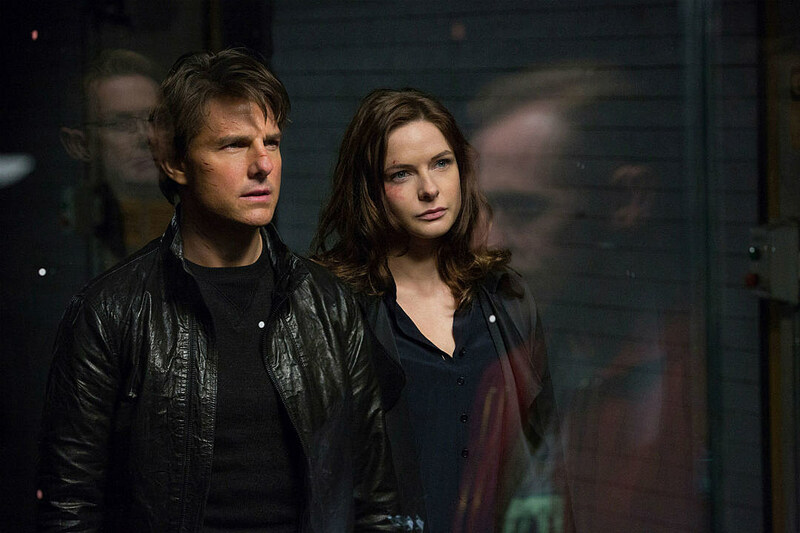 Mission: Impossible 6 will hit theaters on July 27, 2018.